3.9 out of 5 based on 89 bloggers and 8 commenters. 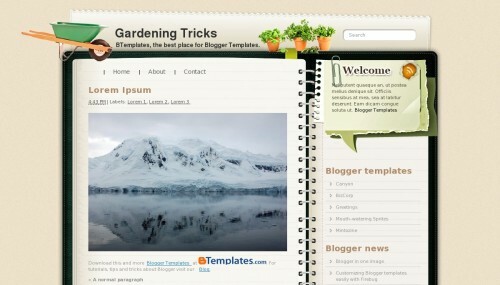 Gardening Tricks is a free blogger template adapted from WordPress with 2 columns and right sidebar. Excellent template for blogs about to write a diary, home and decoration or nature. this is a very usefull site.. Absolutely love this template. I’m just wondering if there is a way to get any guidance in making the post area wider so that we can use xlarge photos as opposed to just large.